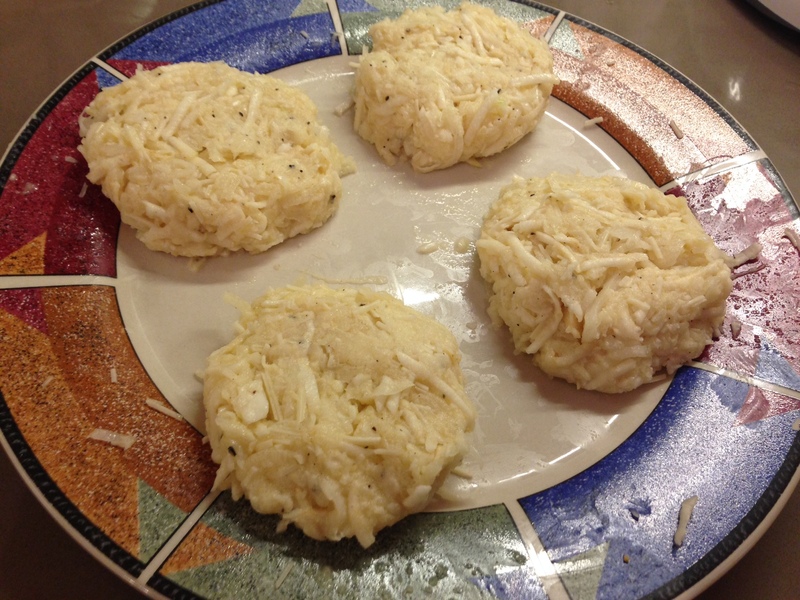 Over the past week I’ve been on a mission to conquer a few traditional Jewish recipes for Hanukkah. Although I perfected a classic challah when I met my boyfriends mother a few months ago, I recently came up with a new pretzel challah recipe, and a vegan seitan “brisket” with roasted vegetables dish. 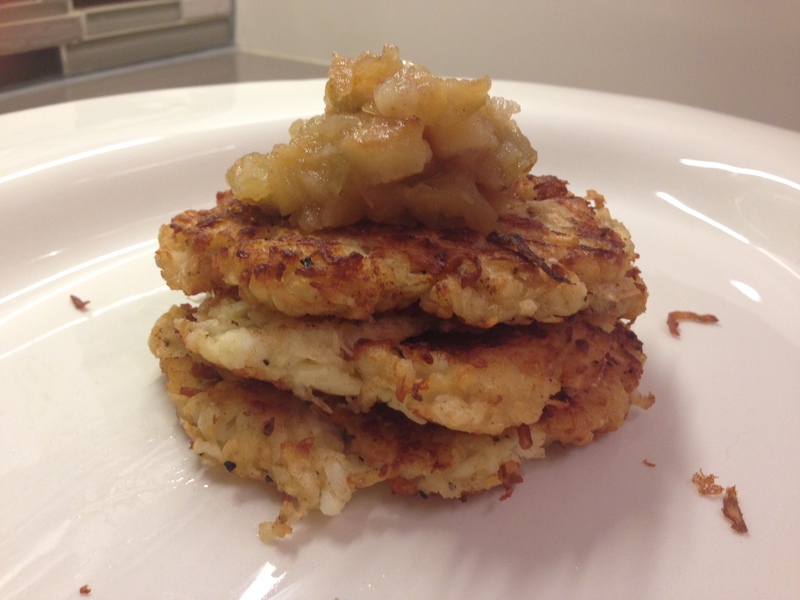 Now, after tackling this low carb latkes recipe, I think I’m officially ready for Hanukkah to begin! 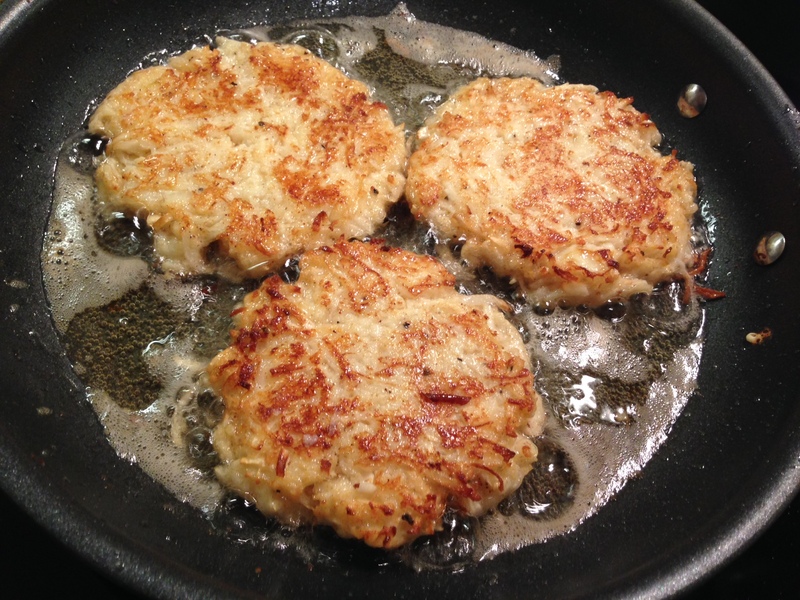 Latkes are a traditional Hanukkah dish. Frying of them in oil serves as a reminder of the oil that kept the Templet lit for eight days. 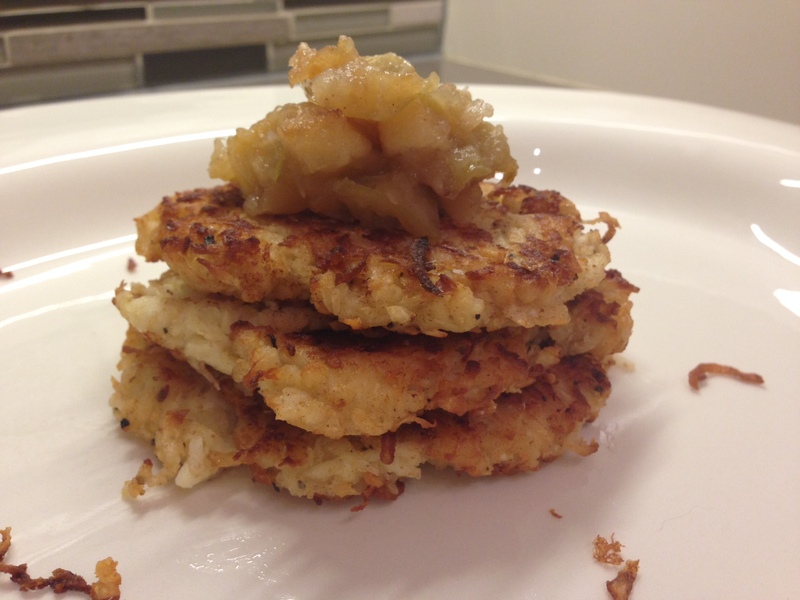 I wanted to make my latkes a bit healthier without getting rid of the frying step. So to cut out some carbs I substituted daikon, celery root, and jicama for potatoes. 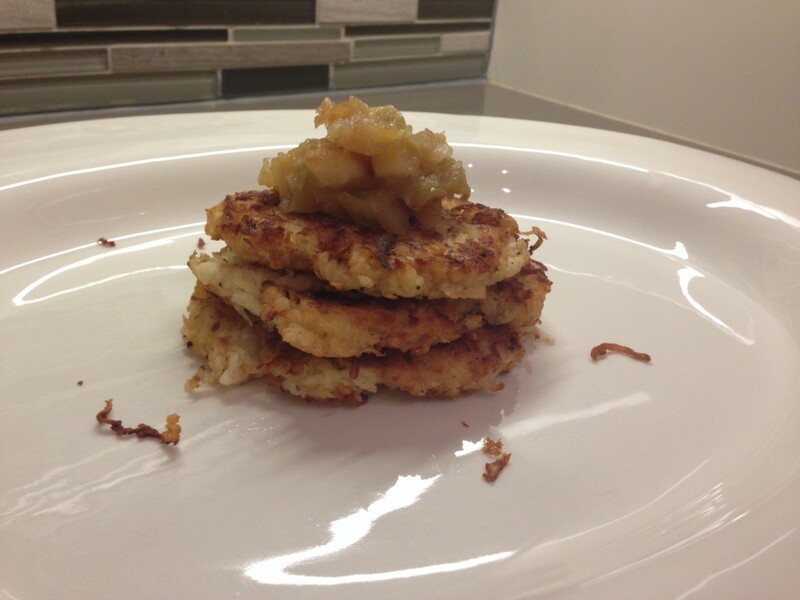 Not only are these latkes low on carbs and high in nutritional value, but they the vegetable combination is delicious. 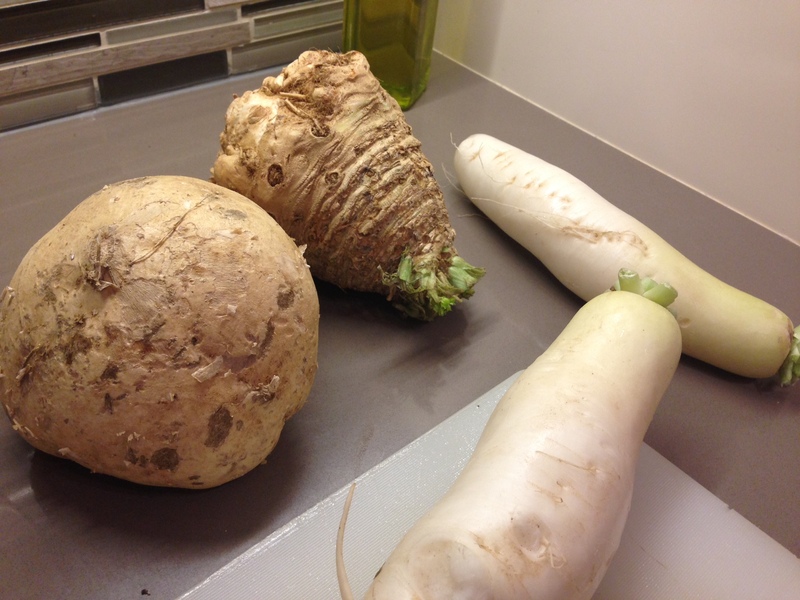 The celery root brings a great savory flavor, and the jicama adds a fresh crunch. 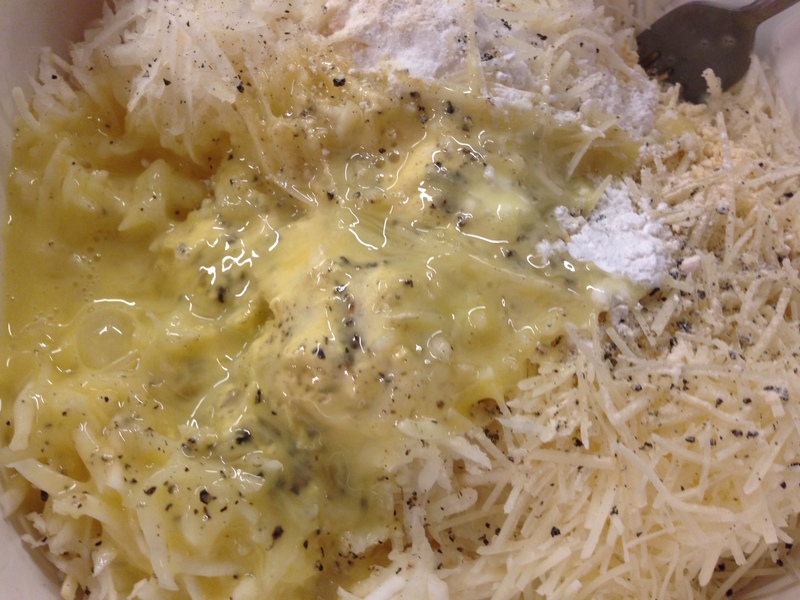 Plus the parmesan! 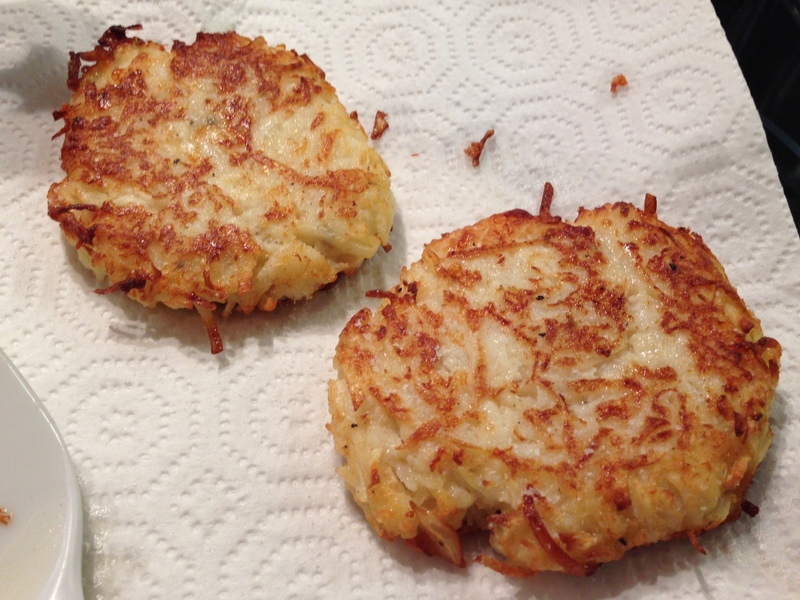 Talk about yummy latkes. Oh, and did I mention they’re gluten free? You could substitute all purpose flour for the coconut and rice flours if you aren’t concerned about gluten or don’t have them on hand. But if you do keep a supply of alternative flours in your cupboard (like me), then I say go with the coconut and rice flours. They work well in this dish, and add a nice, subtle sweetness. 1. Peel and grate vegetables. 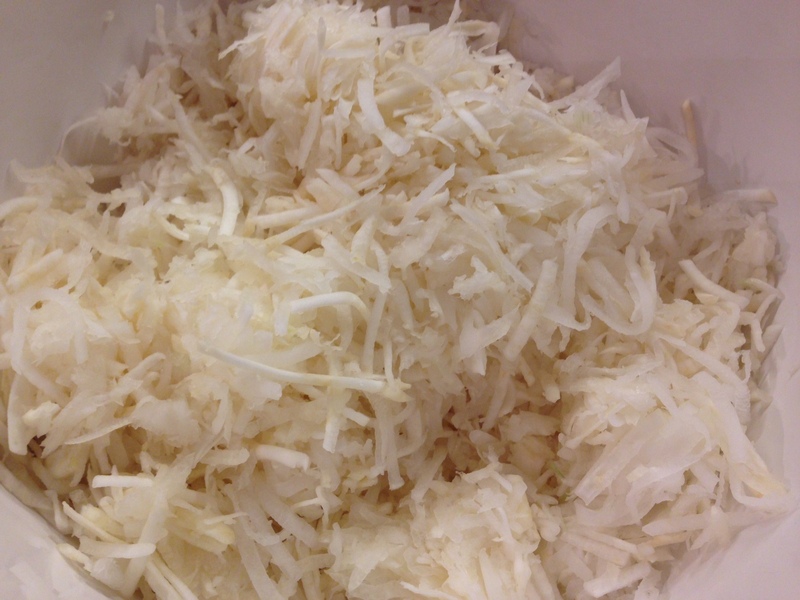 I used my food processor, though to be honest if you aren’t making a large batch of latkes you could easily just use an old fashion grater. 2. Squeeze as much of the liquid from your vegetables as possible. 3. Beat eggs in a separate cup or bowl, then combine with vegetables, flours, baking powder, onion powder, cheese, kosher salt and pepper. 4. Carefully shape into small discs. You could make them larger, but they’d be less likely to cook all the way through just in the oil. This could be easily solved though by finishing them in the oven at 350 degrees for 5 or 10 minutes. 5. 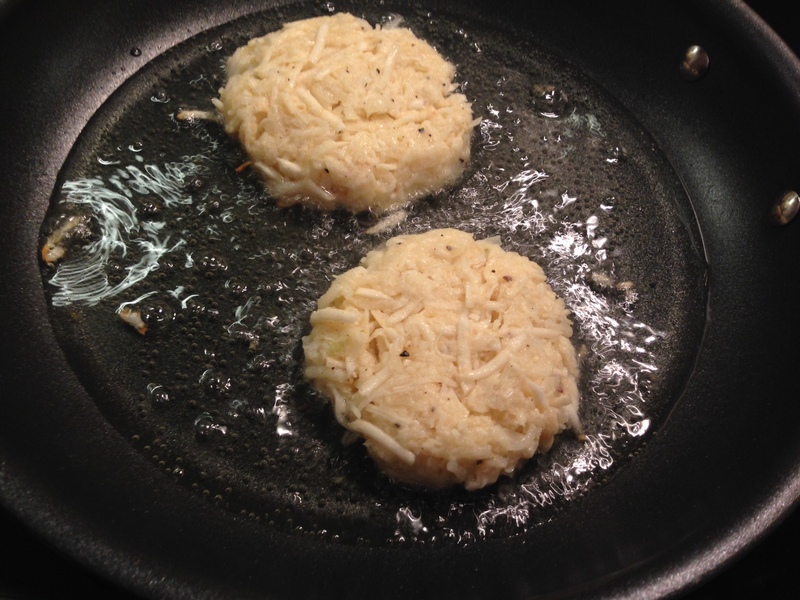 Heat up a few tablespoons of canola oil in a non stick pan. Set your stove to medium, and always use caution when cooking with hot oil. 6. Fry for about 2 – 3 minutes on each side or until golden brown. 7. Remove from oil and let dry on paper towels. Immediately sprinkle with kosher salt. 8. Serve with a dollop of sour cream, or fresh roasted apple sauce. Do you have any suggestions for replacing the eggs? I was thinking about guar gum or tofu. These look awesome. You could also try a mashed plantain, or banana (though the banana will add a bit of sweetness).